Although the majority of colon cancer cases occur in individuals aged 50 years and older, rates of colon cancer incidence in the younger-than-50 population are on the rise. Therefore, there are several important considerations for this population that do not impact their older counterparts - fertility preservation among women is one of them. Can Having Long Legs Increase Your Colon Cancer Risk? A new study suggests that it may be a possibility. According to a new study, men who are happily married to highly educated women are more likely to get screened for colon cancer. The above image illustrates global incidence of colon cancer in men in 2012 according to the World Health Organization (WHO). 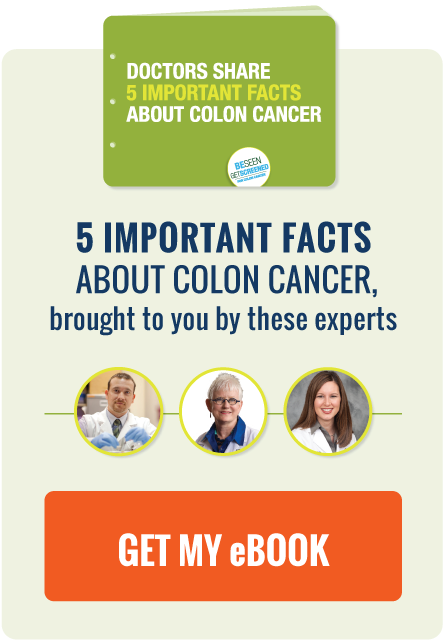 In a recent article published in Huffington Post, the Society for Women's Health Research dispels one extremely important misconception about colon cancer: it is not just a man's disease. Recent updates by the Canadian Task Force on Preventive Health Care illustrate several key differences in medical opinion between Canadian and U.S. decision-makers. March is National Colon Cancer Awareness Month, during which survivors, advocates, medical professionals and lawmakers come together to spread awareness about colon cancer and the importance of screening. We've compiled a comprehensive list of some of the awesome events planned for this month. Check them out and get involved in the fight against colon cancer! A troubling new study published last week in the National Center for Biotechnology Information suggests that patients at an increased risk for Lynch Syndrome may not be getting adequate advice regarding their genetic testing and colon cancer screening needs. According to new recommendations from the U.S. Multi-Society Task Force on Colorectal Cancer, it is critical that colon cancer patients undergo screening even after colorectal surgery. A new, first-of-its-kind study from Harvard University's T.H. Chan School of Public Health suggests that certain types of male pattern baldness may be associated with an increased risk of colon cancer.